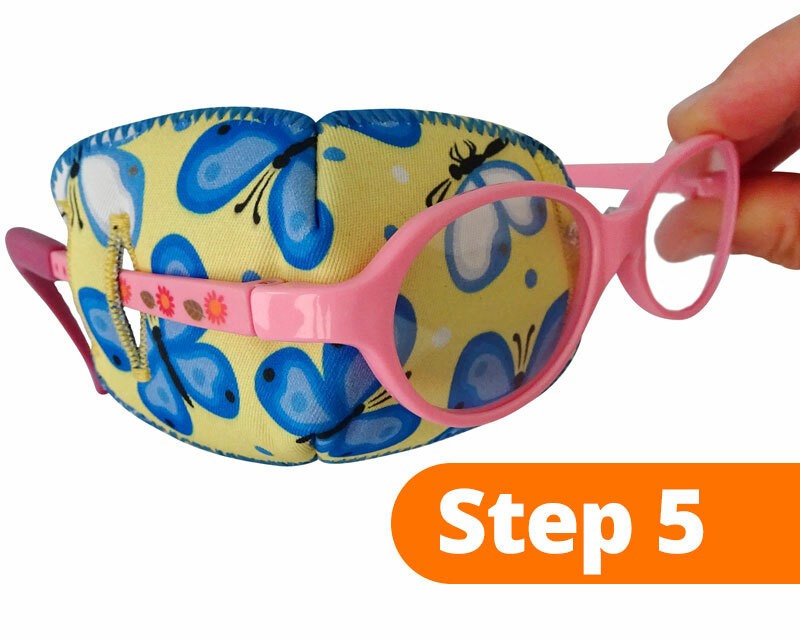 Slip the arm of the glasses through the two buttonholes. Move the patch into position behind the lens. 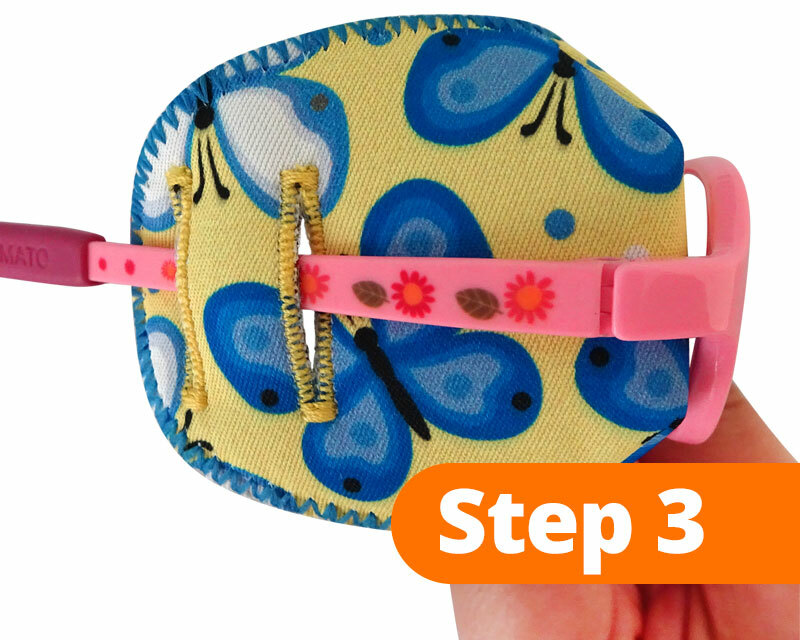 Push the nosepiece through the single buttonhole behind the strip of elastic. 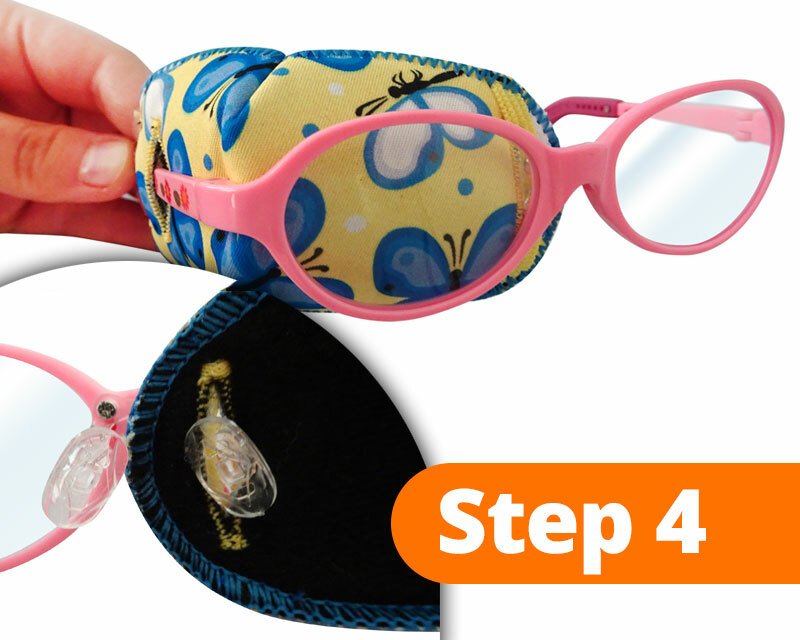 Adjust the patch as necessary when the glasses are worn on the face. 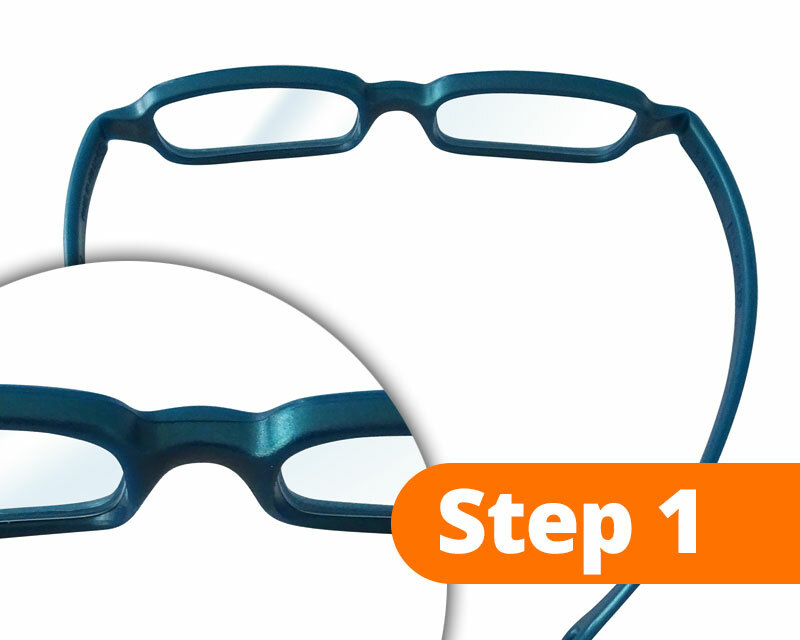 Slip the arm of the glasses through the strip of elastic. Move the patch towards the lens and temporarily crease/flatten it to slip the end through the two buttonholes. Pull the elastic around the front of the lens towards the nose piece so the patch sits behind the lens. 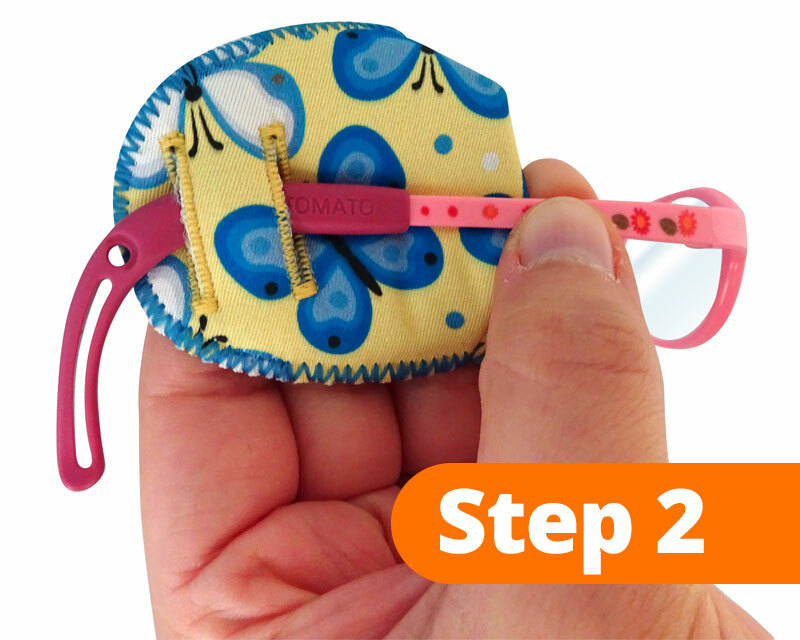 Align the single buttonhole with the moulded nose piece. 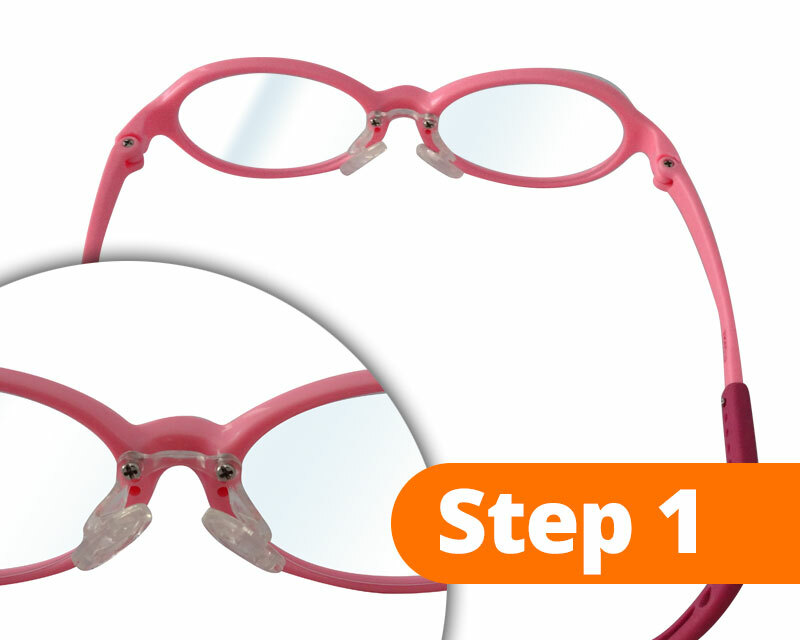 Adjust the patch as necessary when the glasses are worn on the face.